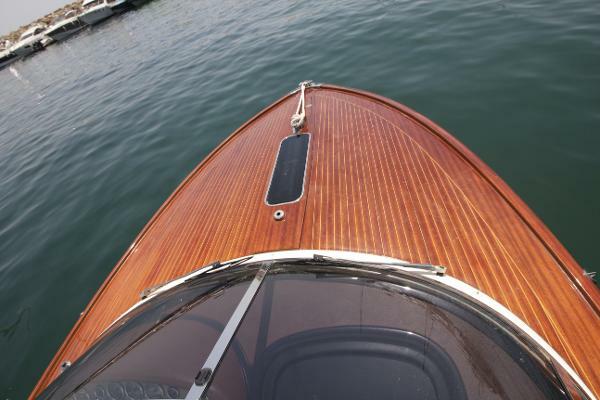 This is the model that more than anyone else reflects Riva's natural stylistic evolution from the past to modern times. 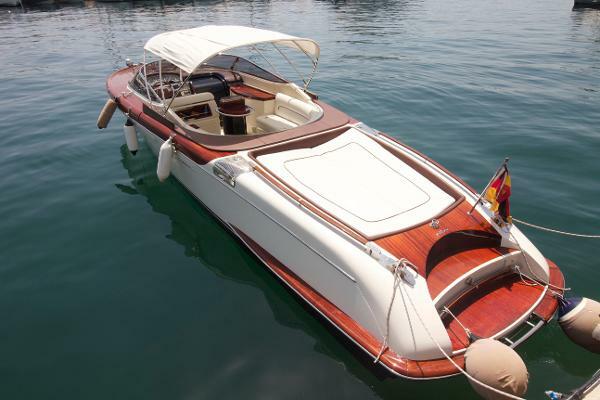 The soft, stylish lines of this 33-footer fully embody a sense of tradition; the fine, skillfully crafted timber (mahogany with maple inlays) used for the deck and the elegant leather finishes on the dashboard and the steering wheel enhance the pleasure of cruising on a timeless, classical yacht, offering unmatched comfort and emotions. 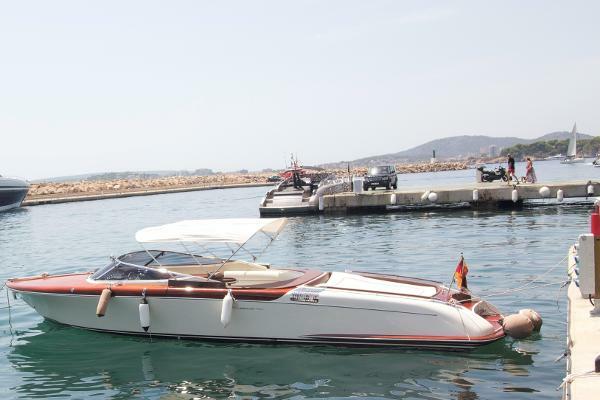 The innovative electronic two-speed gearbox, installed on the standard version, allows the two powerful 370 hp Yanmar engines to accelerate even faster and ensures outstanding performances. Aquariva has become the symbol of Riva’s modern elegance and unique style and has met with great success on all continents, just like the legendary Aquarama.